This body wash is so refreshing you'll think you were walking along the Boardwalk sipping on a cool glass of fresh lemonade! To plastic beaker, mix 1.25 oz. 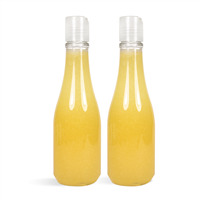 Fresh Lemonade fragrance oil and 0.75 oz.Vanilla Color Stabilizer. Set aside. To a microwave-safe measuring cup, add 64 oz. Liquid Suspension Soap Base. Place in microwave and heat for 2 minutes. Add 1 3/4 teaspoon of Lemon Powder and gently stir into product. Add 1 oz. 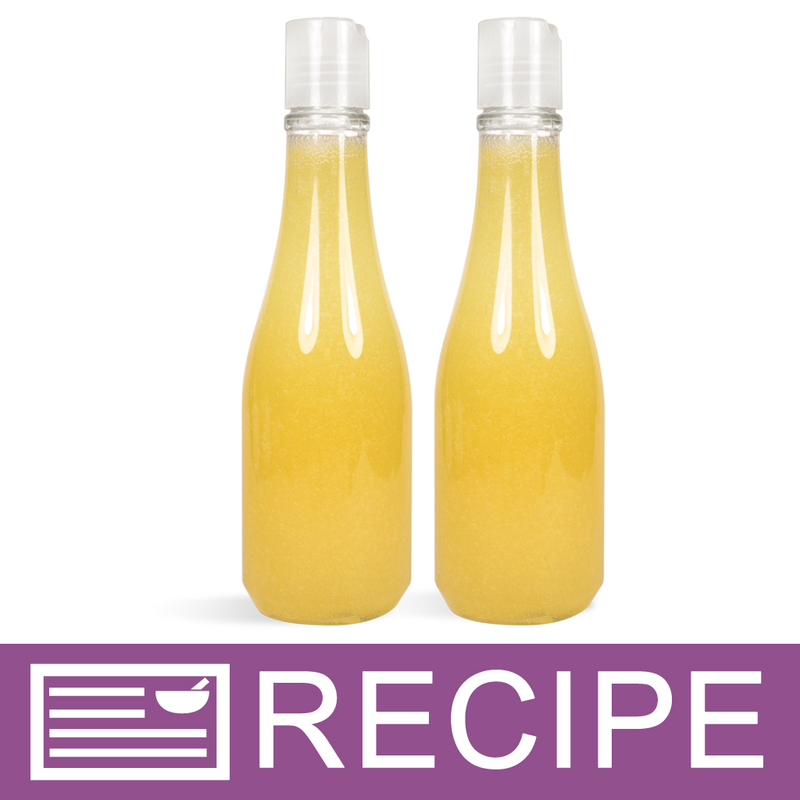 fragrance mixture and 7 drops of Lemon Yellow Liquid Color and stir to blend well into suspension soap base. Fill each bottle to 9 oz. by weight. Let cool completely before applying caps. TO USE: Use in shower with nylon puff for optimum bubbles. Can also be used as bubble bath. Ingredient Label: Water, Ammonium Lauryl Sulfate, Glycerin, Disodium Cocamido MIPA Sulfosuccinate, Propylene Glycol, Cocamidopropyl Betaine, Acrylates/C10-30 Alkyl Acrylate Crosspolymer, Disodium DMDM Hydantoin, Fragrance, Lemon Powder, Tetrasodium Methylparaben, Propylparaben, Yellow 5. "On your ingredients listed, I noticed they are on the chemical format. Do you happen to have the ingredients for this recipe in a non-chemical format. I love this product and was just wondering. Thanks, Laurie"
Staff Answer Since this recipe is made from a base, all ingredients for that base must be listed. Here is the common name ingredient listing: Water, Ammonium Lauryl Sulfate, Glycerin, Disodium Cocamido MIPA Sulfosuccinate, Propylene Glycol, Cocamidopropyl Betaine, Acrylates/C10-30 Alkyl Acrylate Crosspolymer, Disodium DMDM Hydantoin, Fragrance, Lemon Powder, Tetrasodium Methylparaben, Propylparaben, Yellow 5. "Can I add Shea butter to this recipe?" We have not tested Shea Butter in any of our body washes but we do not recommend using Shea Butter in this recipe. The thickness of Shea Butter will alter the consistency of your final product.